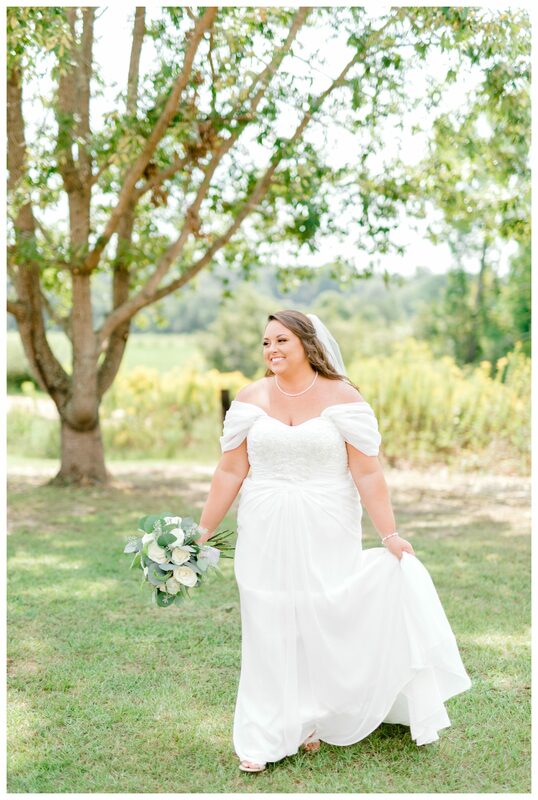 This past weekend was a dream! 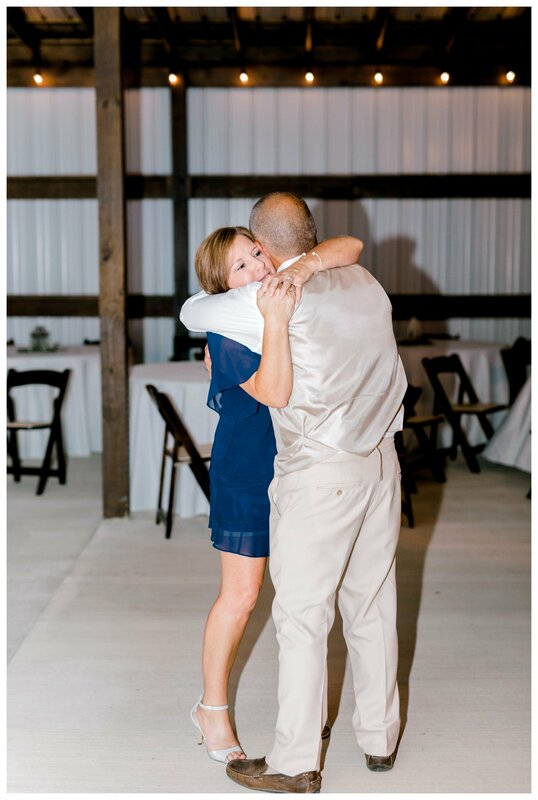 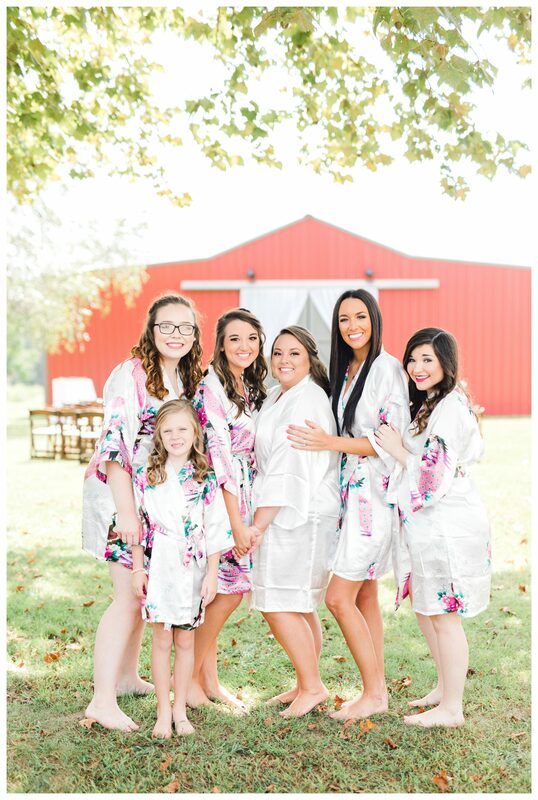 We absolutely LOVE the Houlton family and Courtney is more than just a client to us! 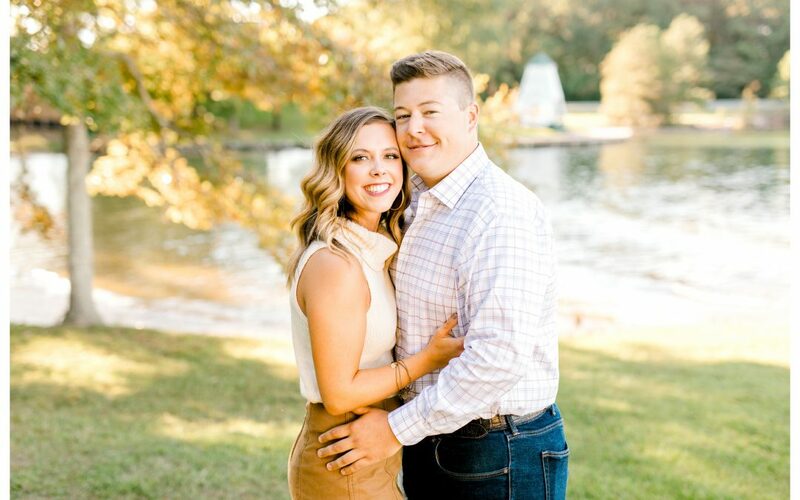 Courtney came to us as soon as she got engaged asking to book us for her wedding well in advance before her wedding date (take notes ladies) so we had been waiting for this weekend for a long time! 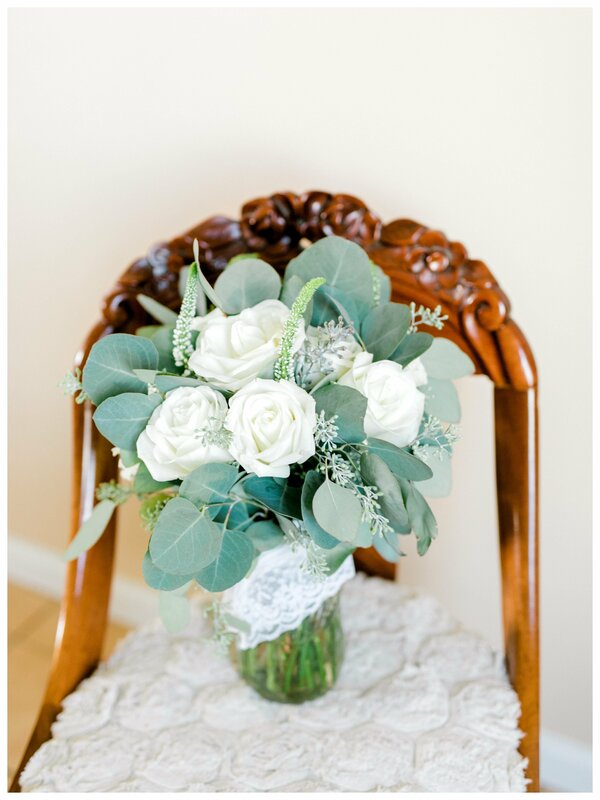 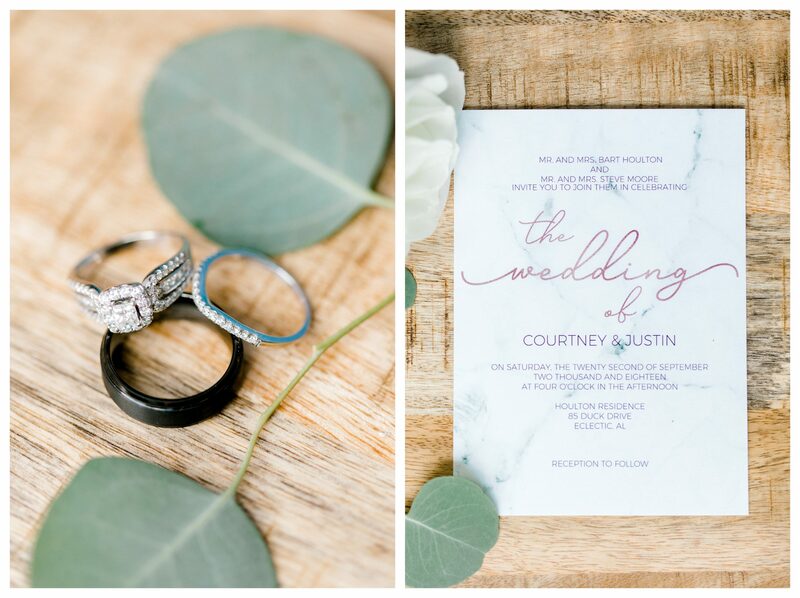 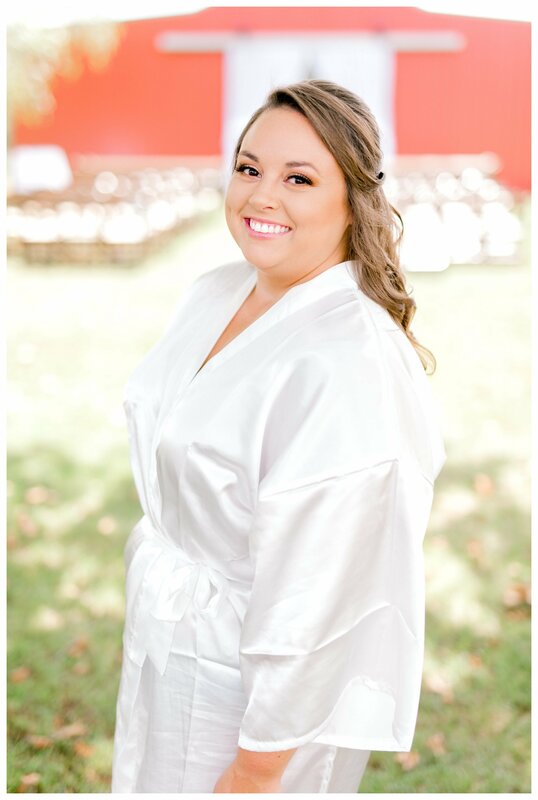 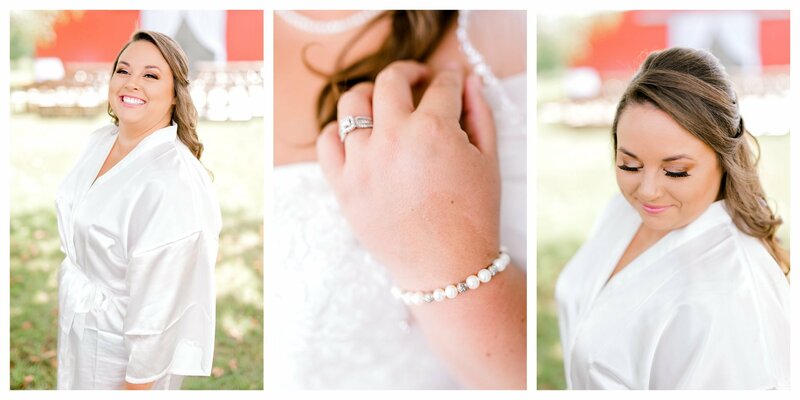 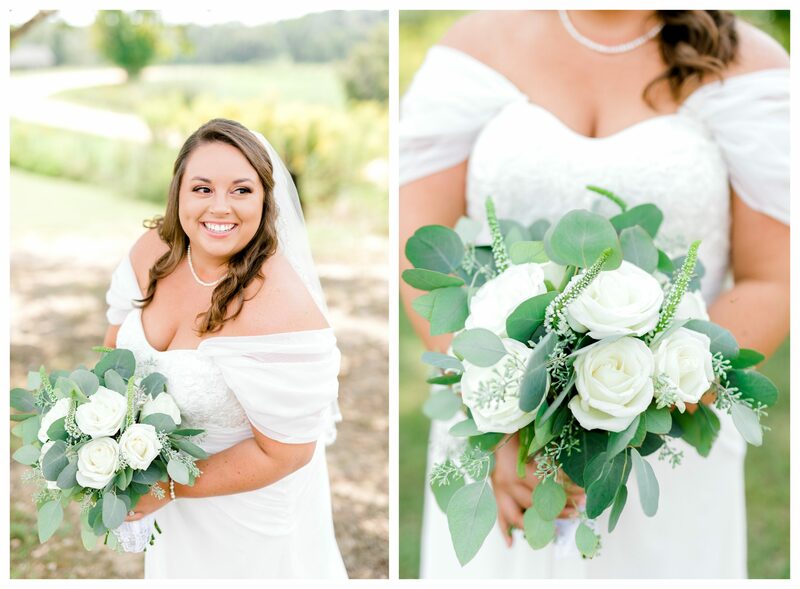 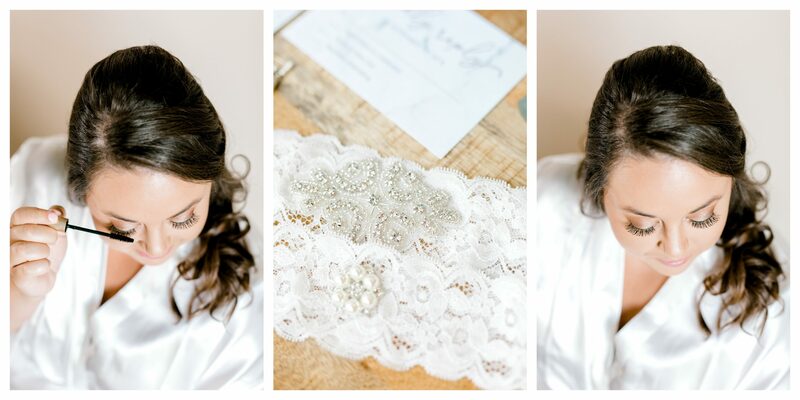 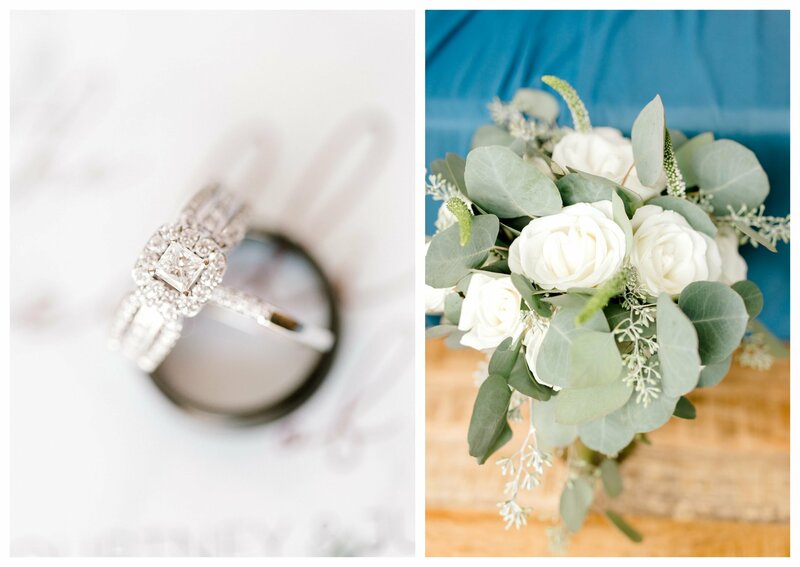 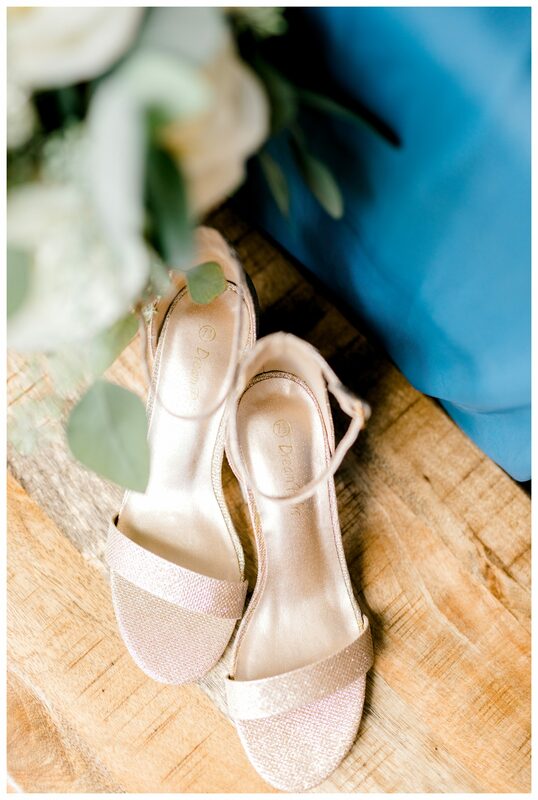 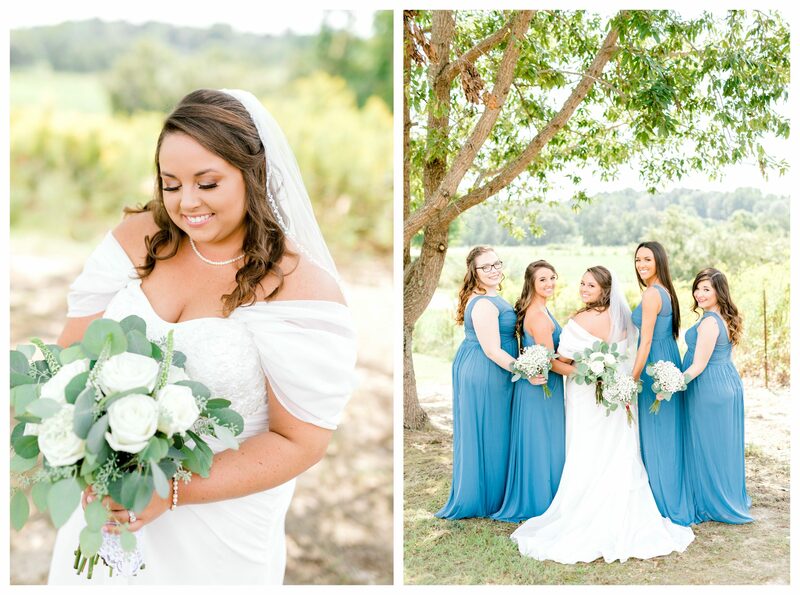 Courtney has helped us multiple times by second shooting for us at weddings, which is where she picked up a lot of inspiration for her own so we knew it would be beautiful and it definitely was! 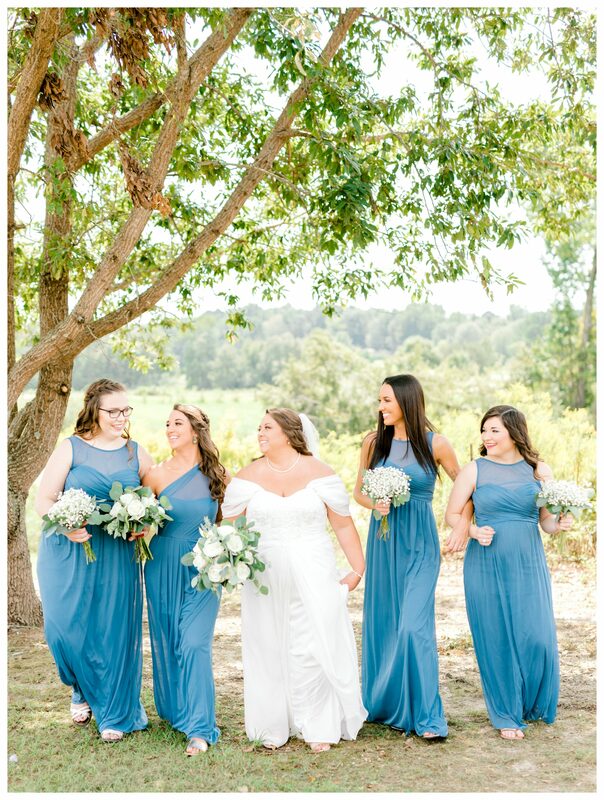 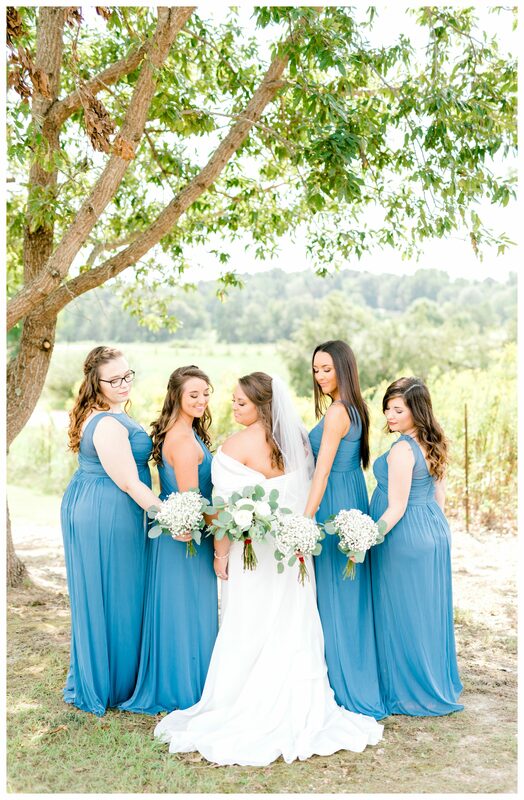 We love showing up to weddings where we feel like we already know everyone and where we can call each bridesmaid by name and this was no exception. 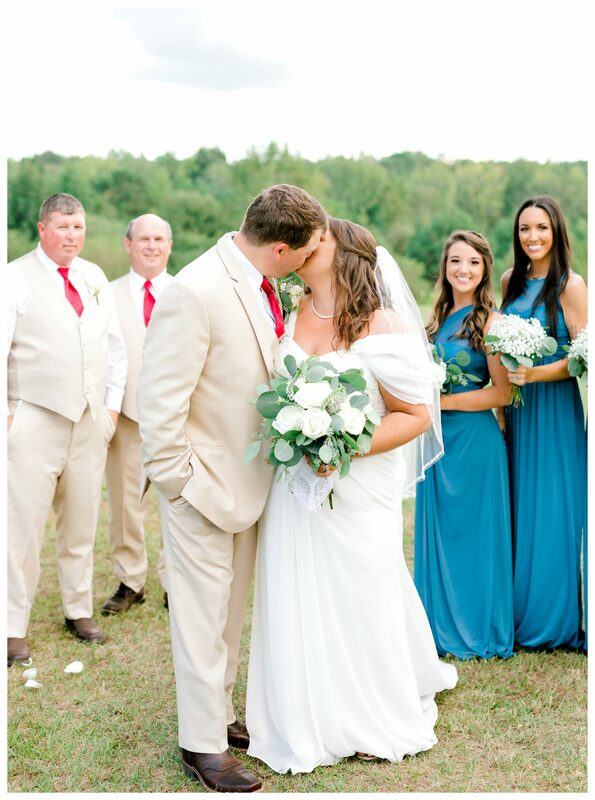 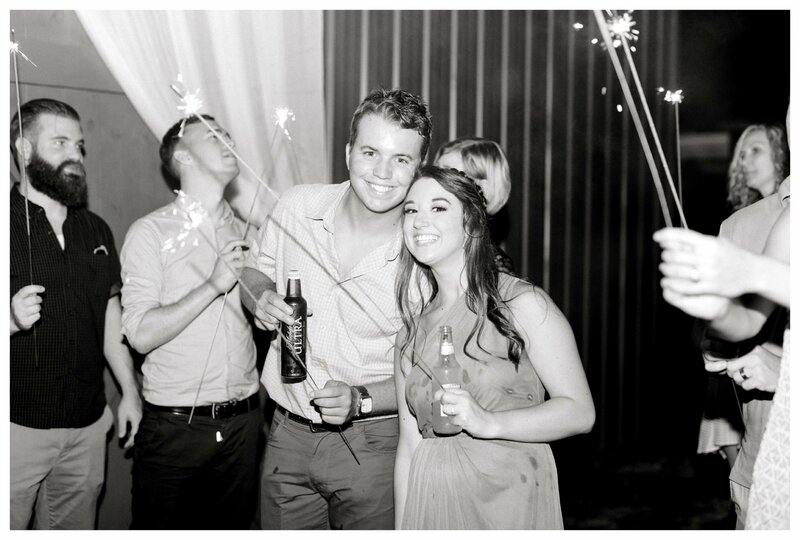 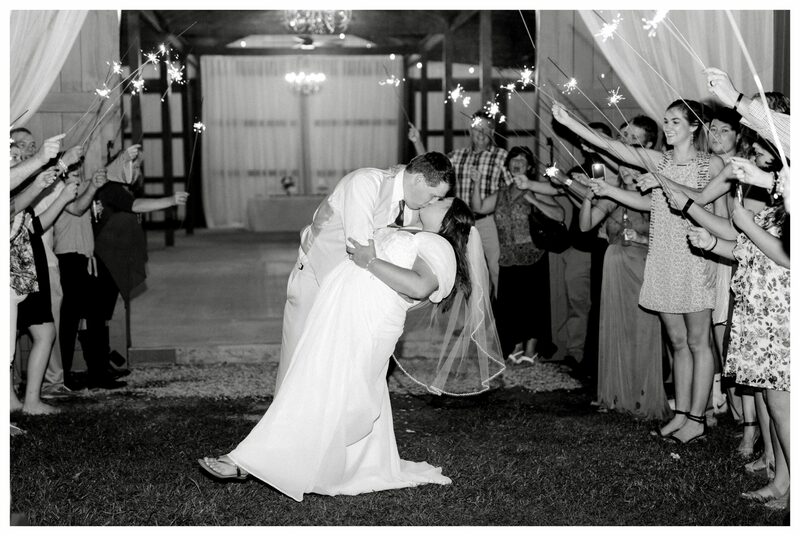 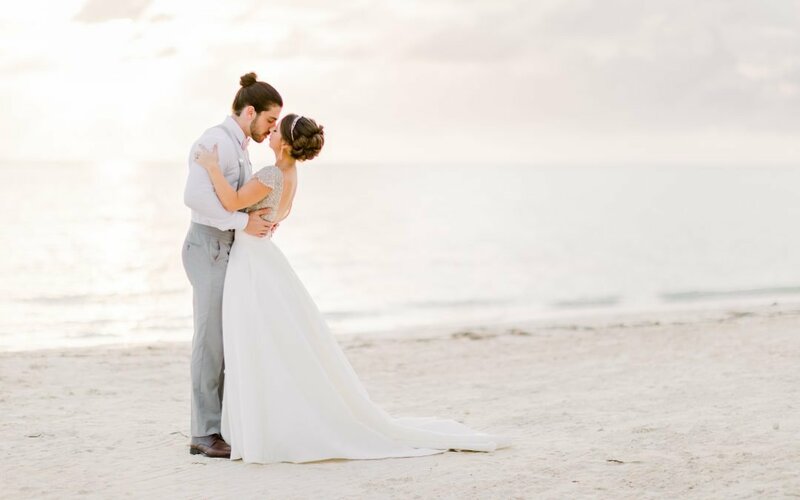 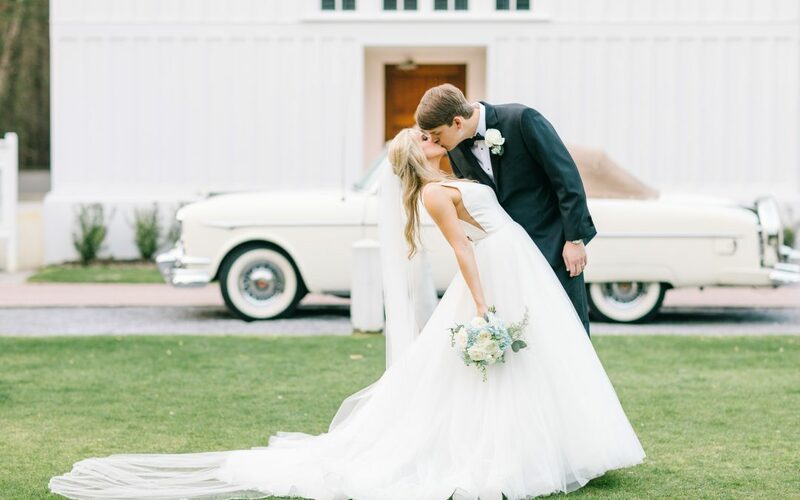 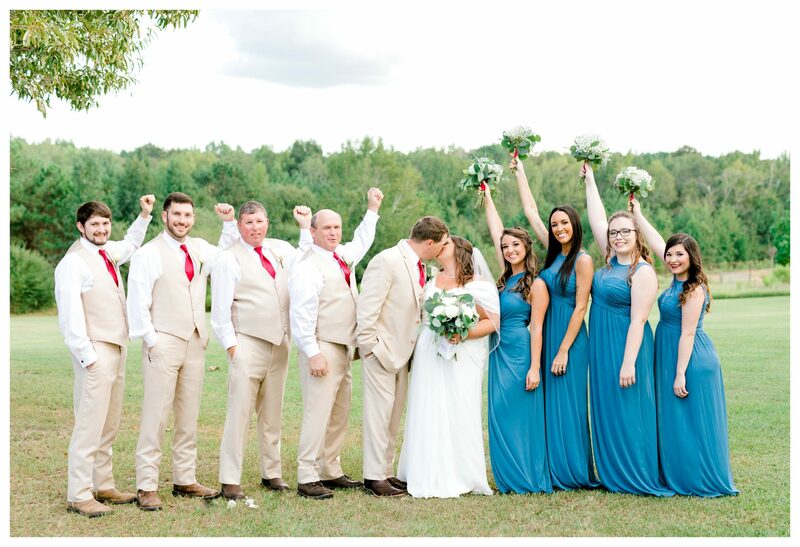 It was so fun for us to capture this perfect day! 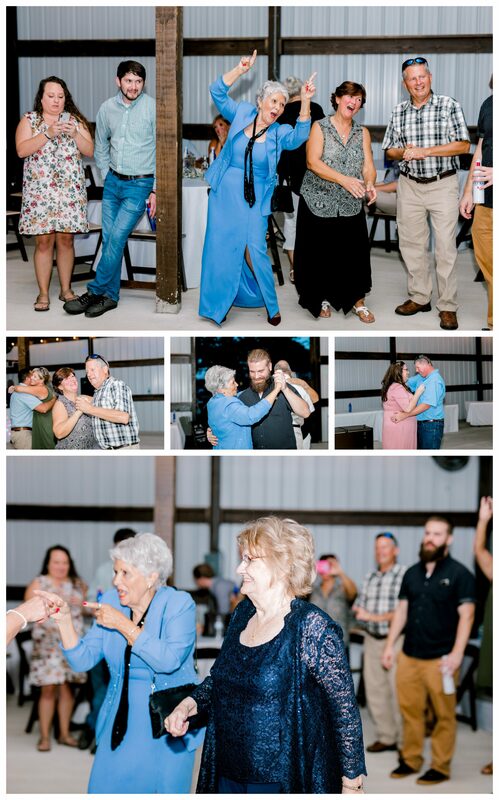 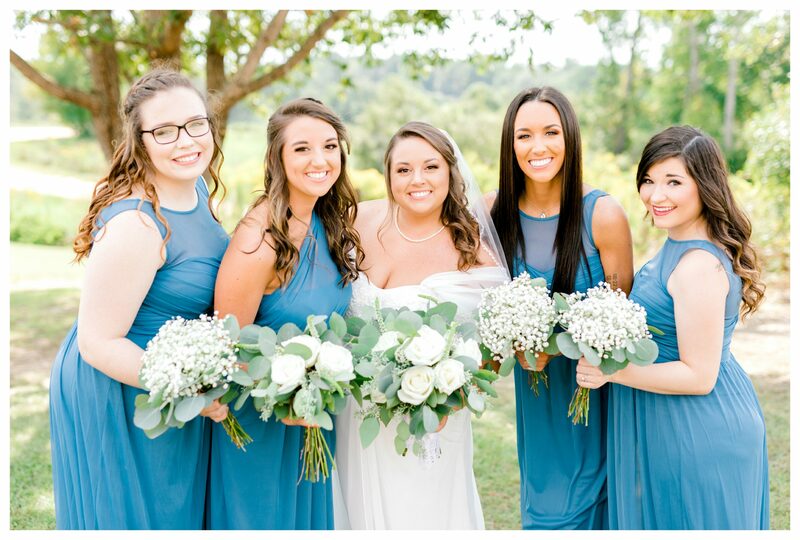 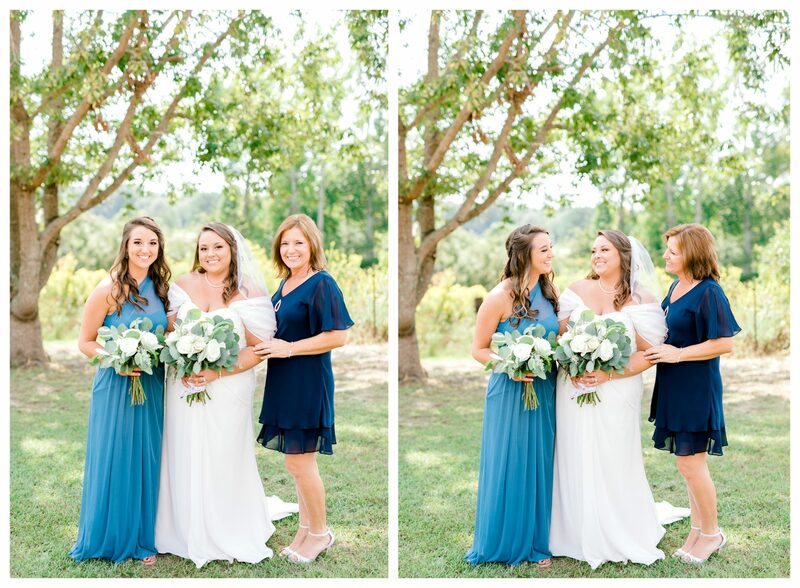 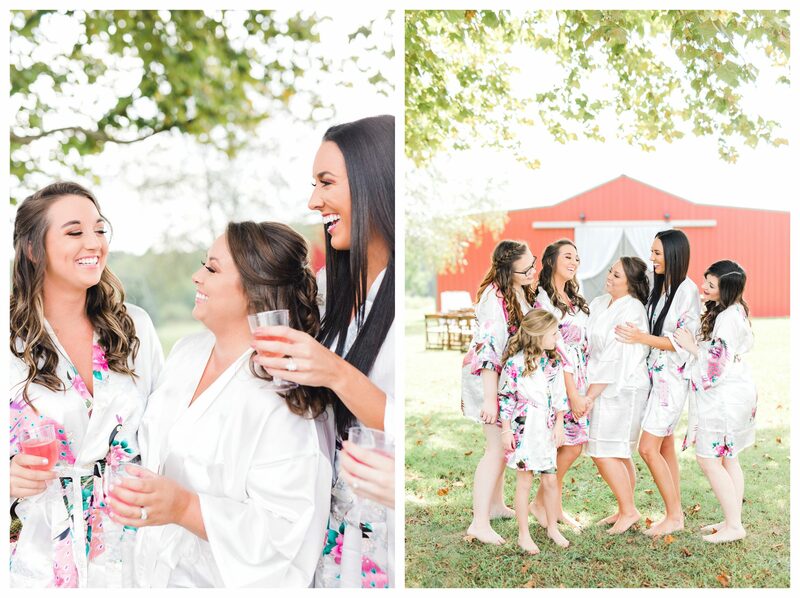 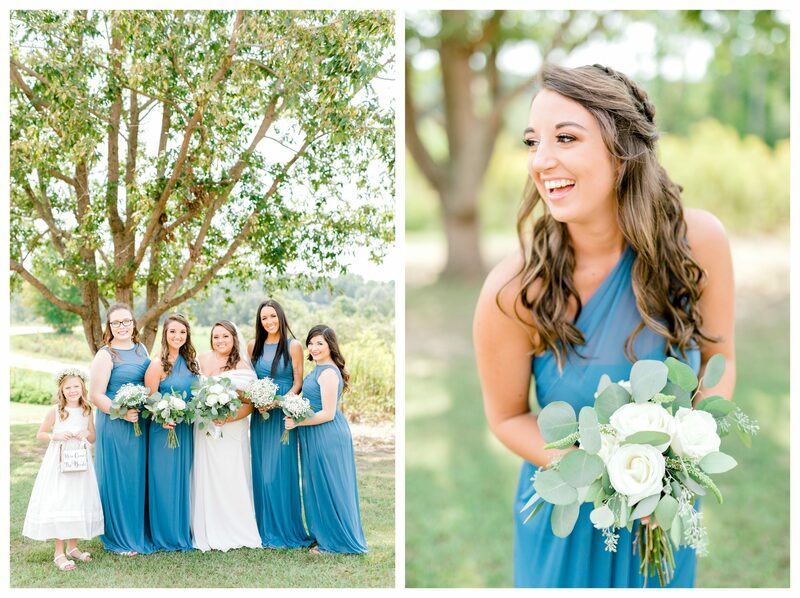 As Courtney prepared to walk down the aisle and finally see her groom, she was surrounded by her most precious friends and mother. 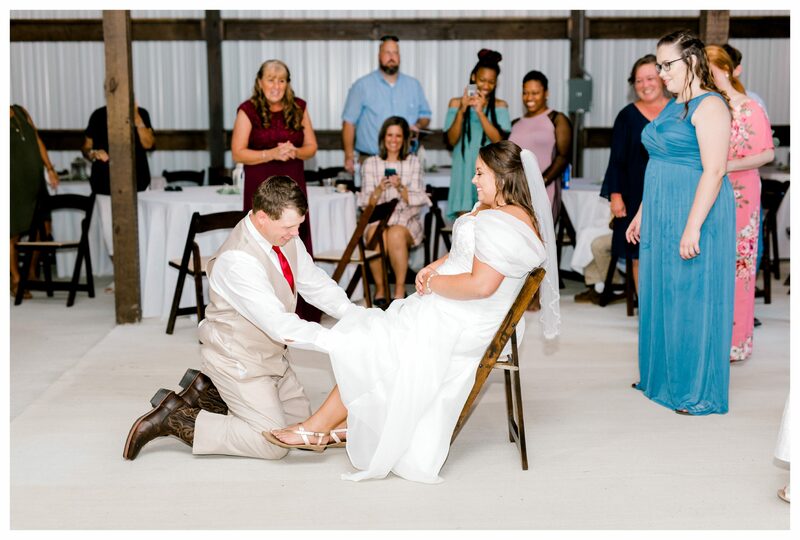 Everything in her life has led her to this moment. 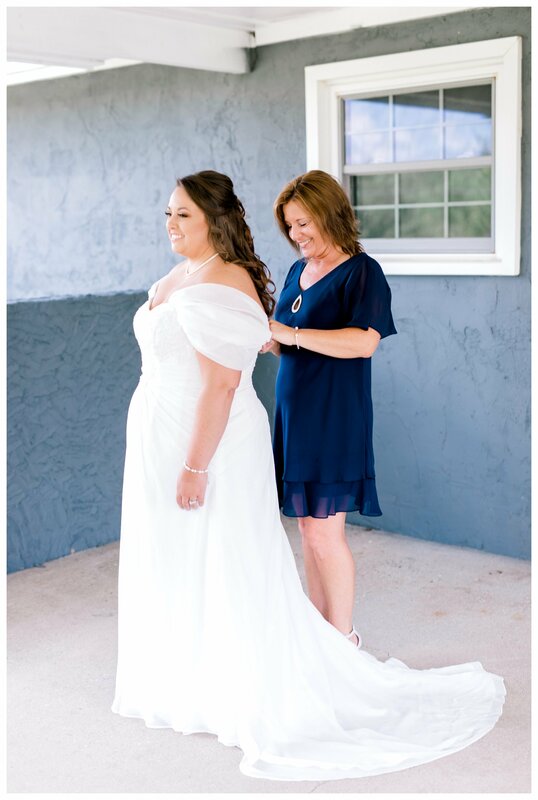 In her very own home, where she was raised, she took her last few steps as a single woman out the door to meet Justin. 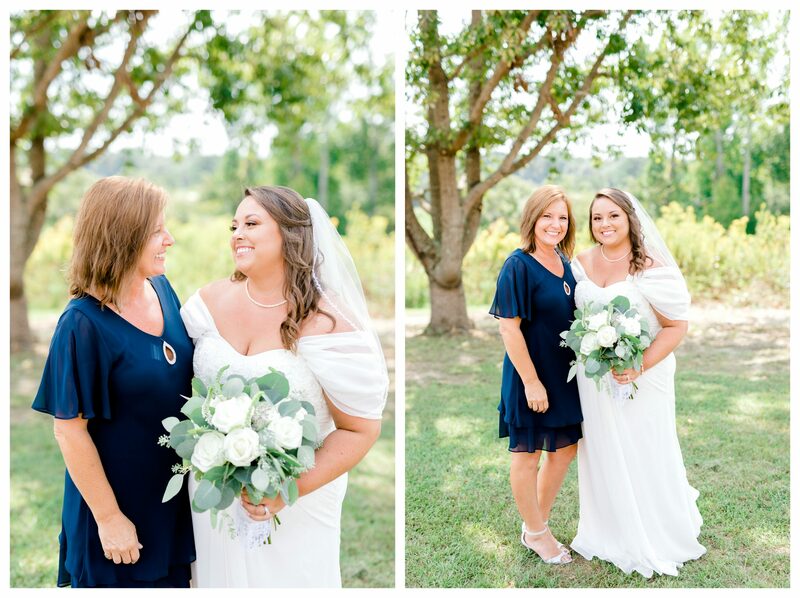 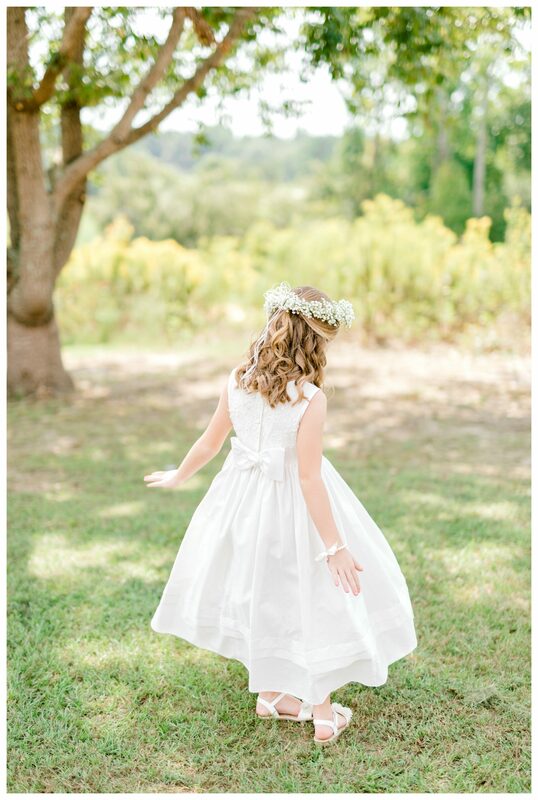 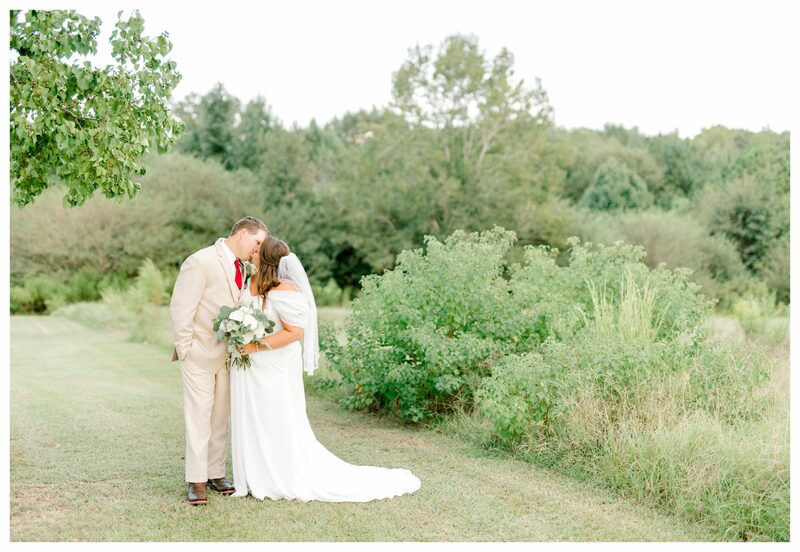 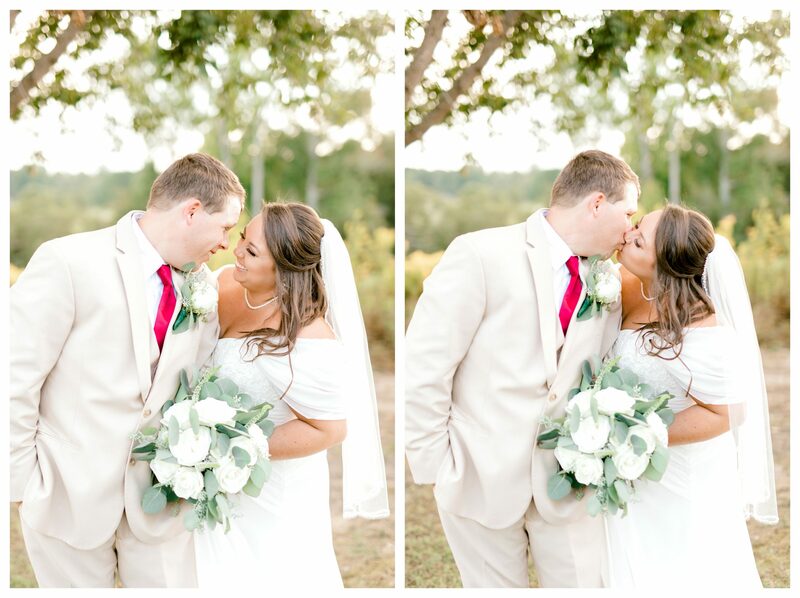 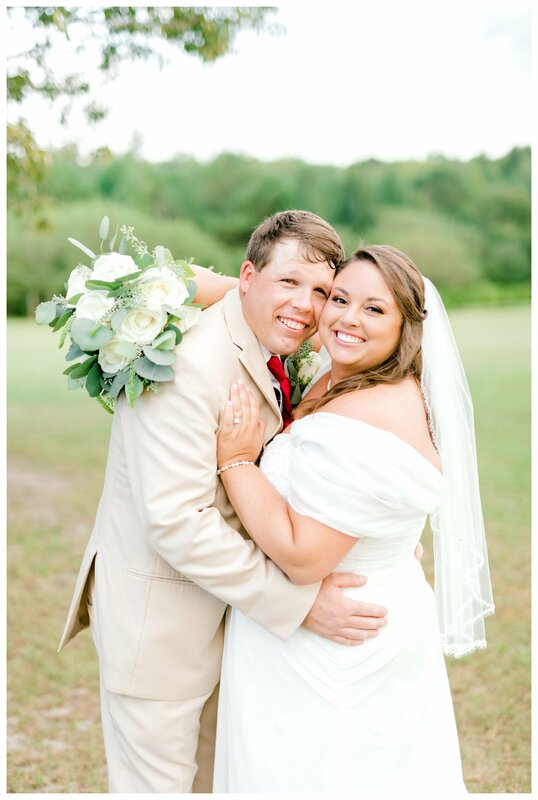 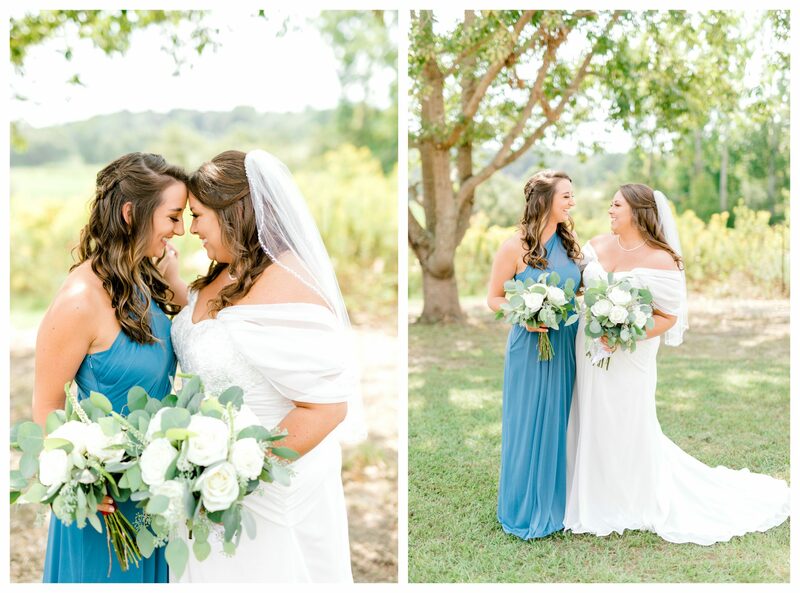 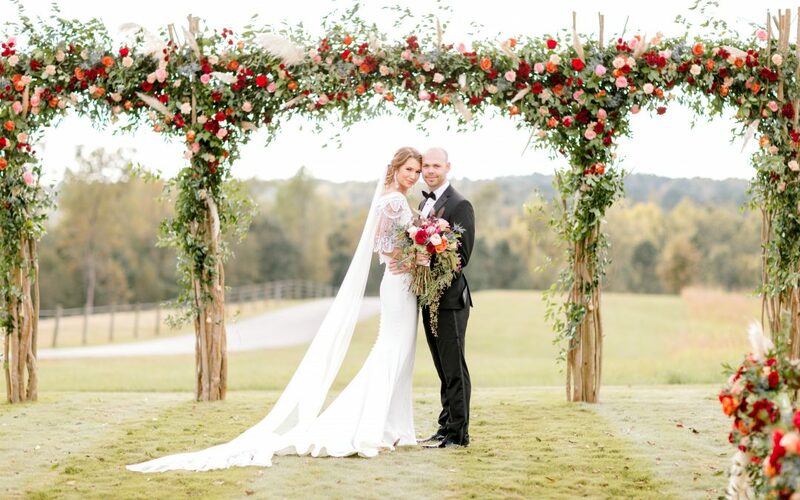 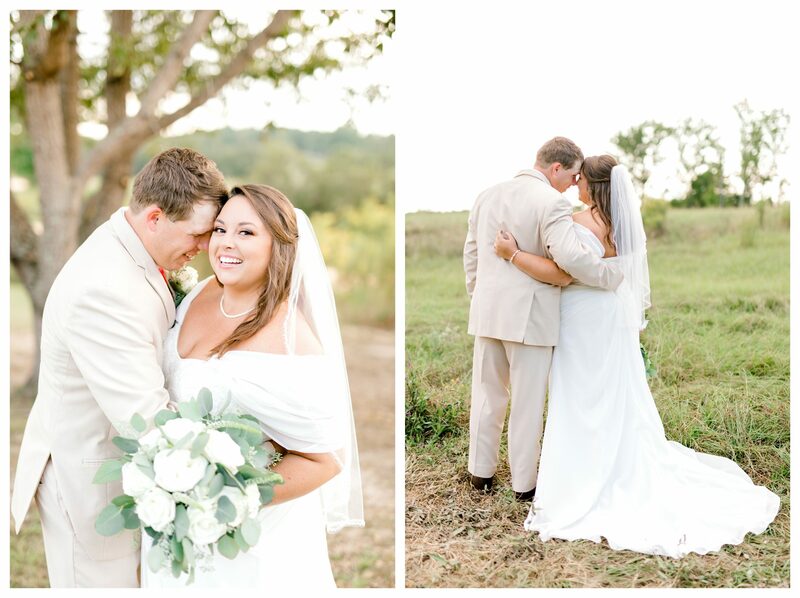 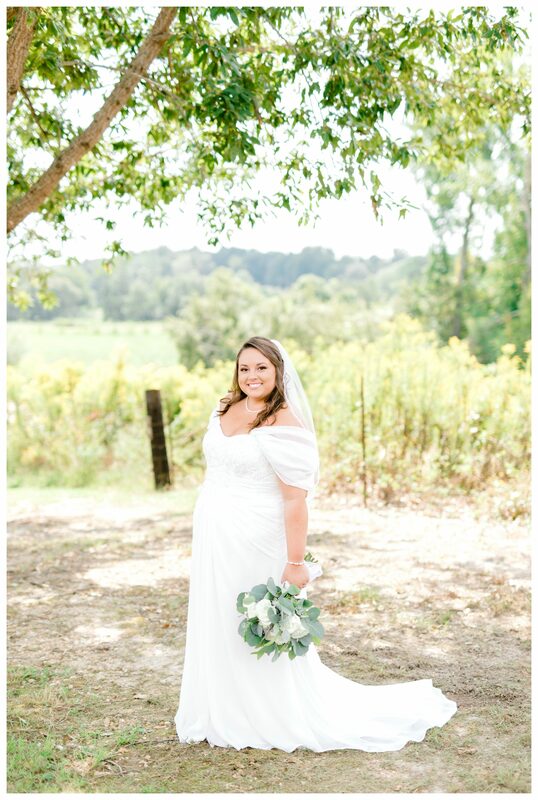 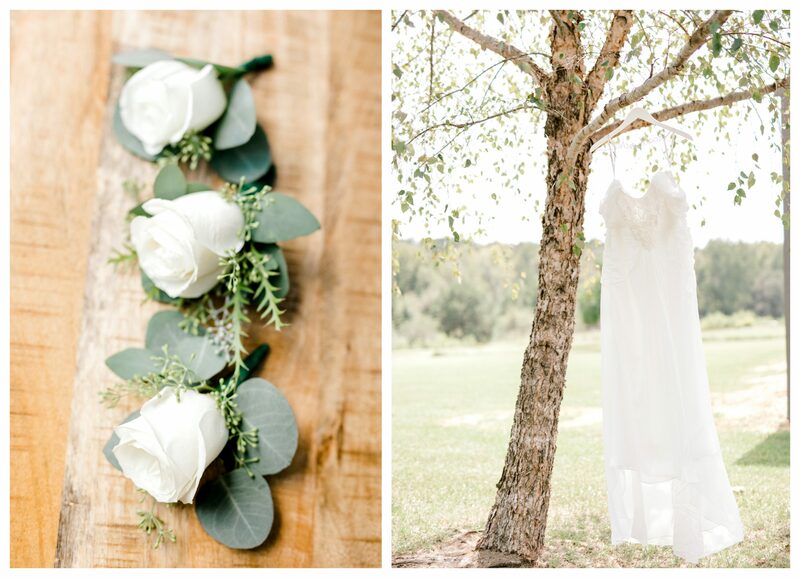 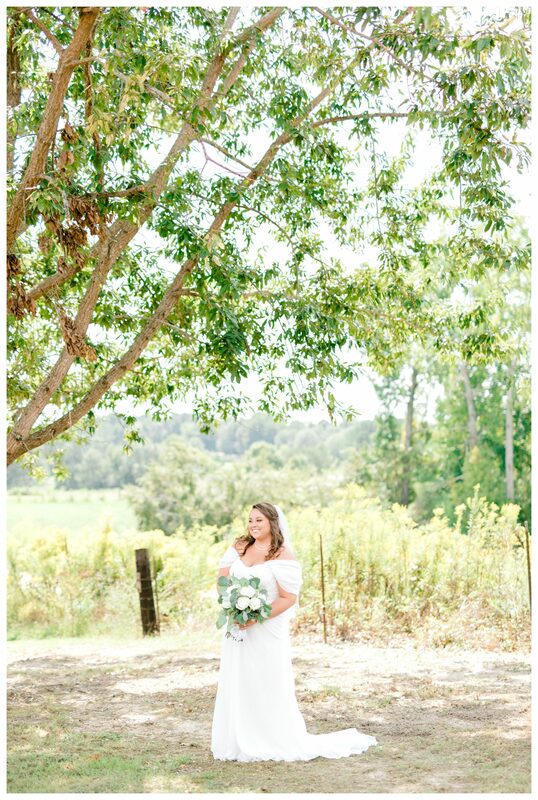 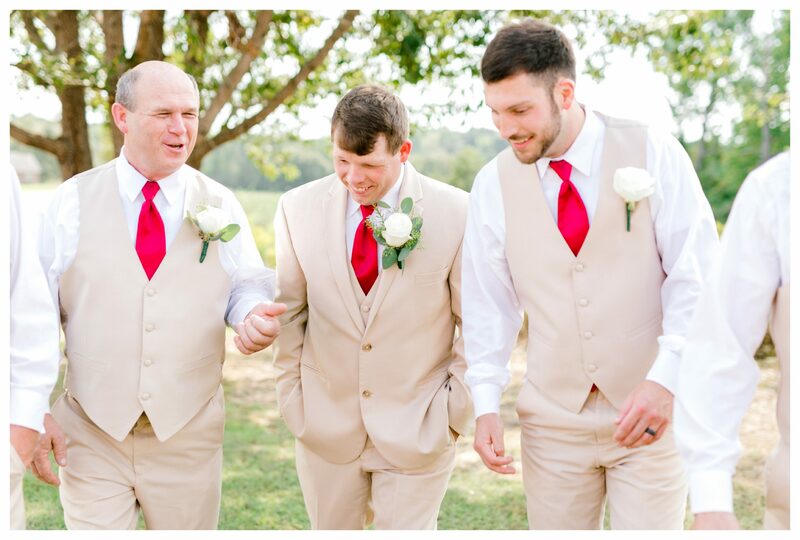 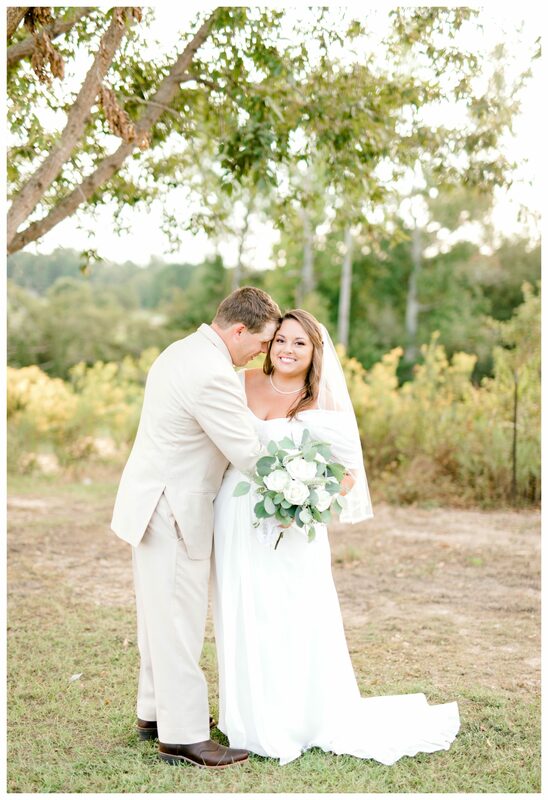 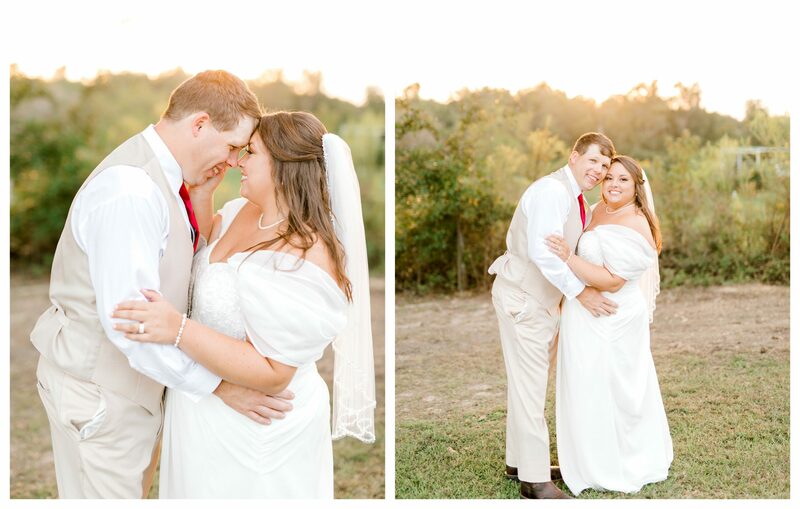 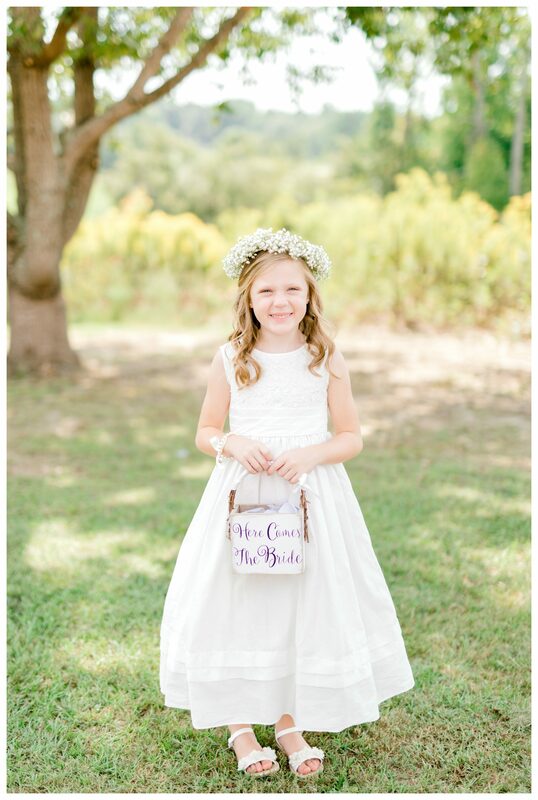 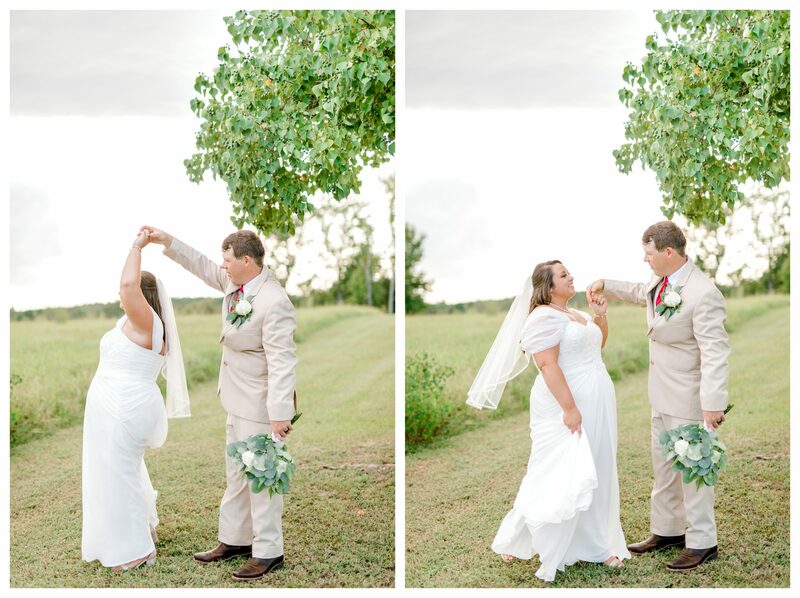 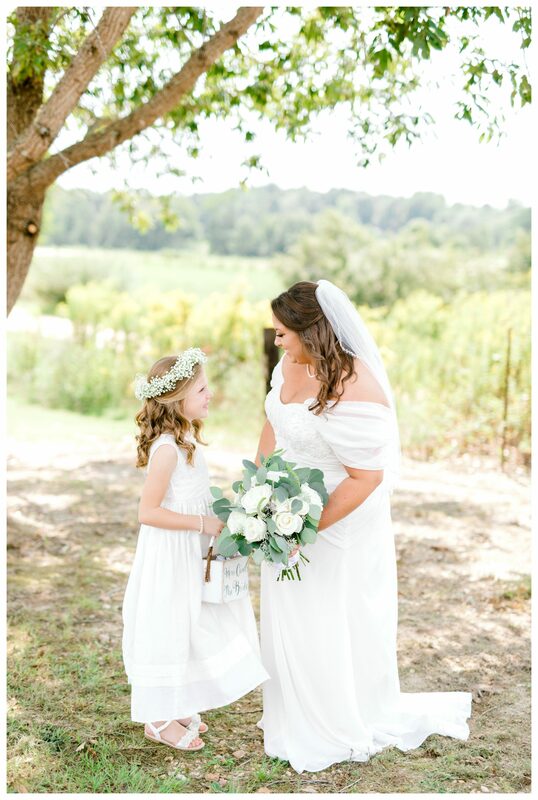 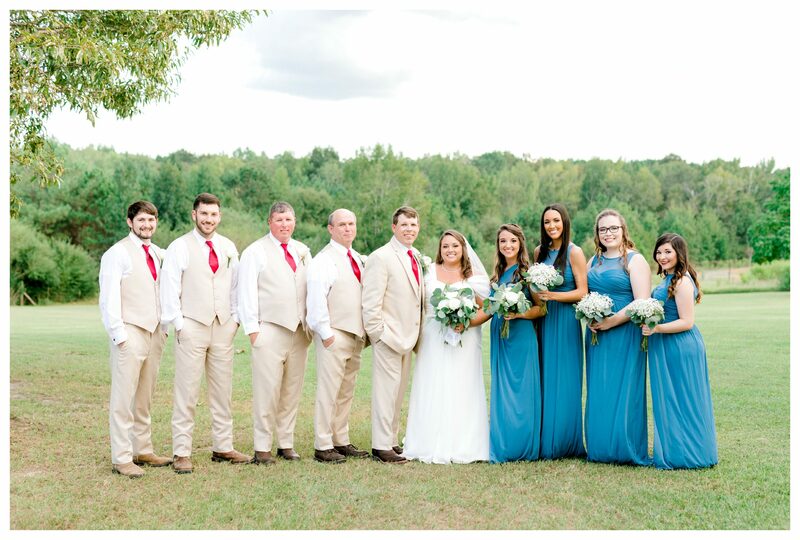 As Alabama weather is, per usual, the day had been hot and sunny, but just when the ceremony began, clouds covered the sun and a breeze blew through the trees around her mother and father’s back yard. 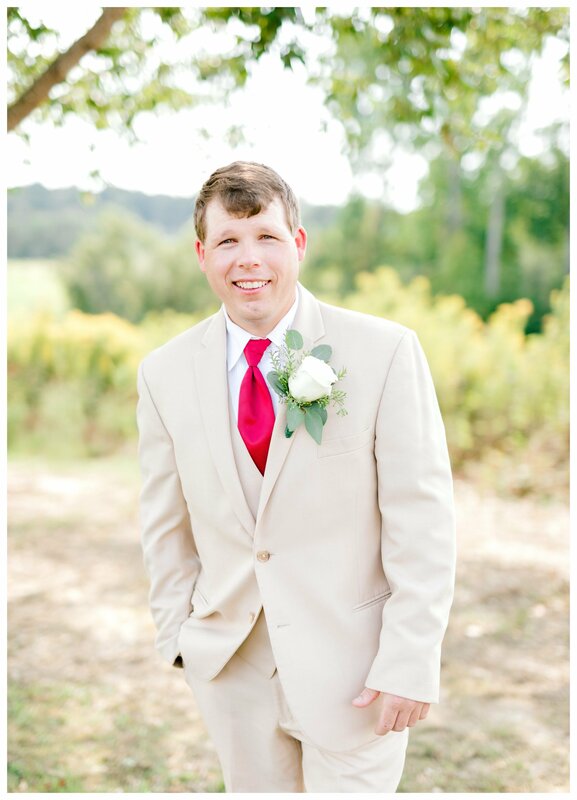 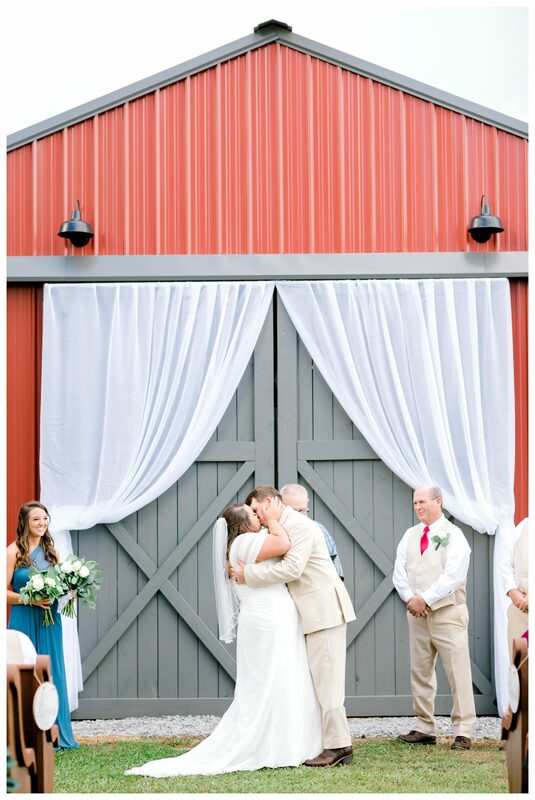 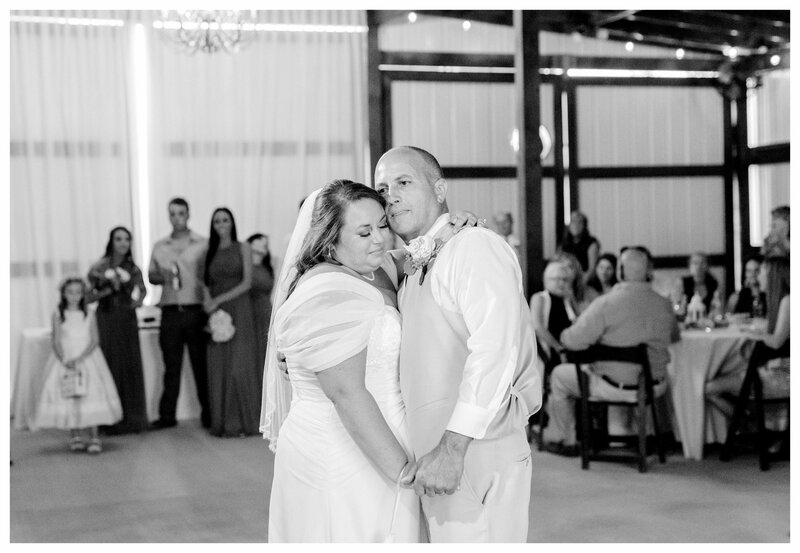 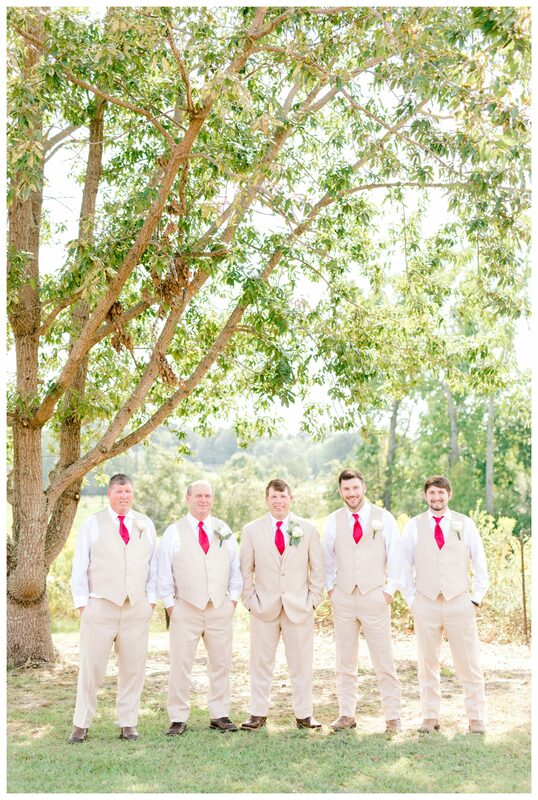 In front of the barn that Courtney’s father built, just for her wedding, Justin stood at the end of the aisle anticipating the moment he had been waiting on all day! 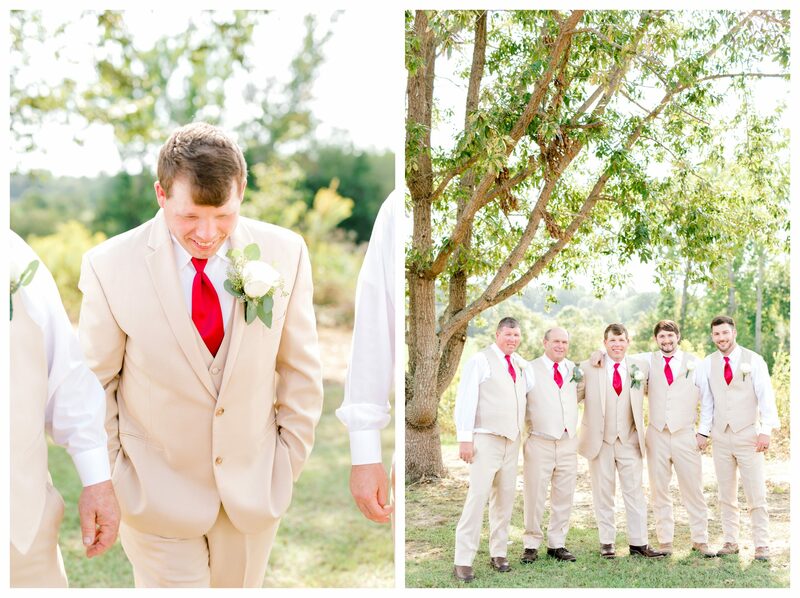 As Justin nervously turned around, he was nothing short of eager to finally see his beautiful bride! 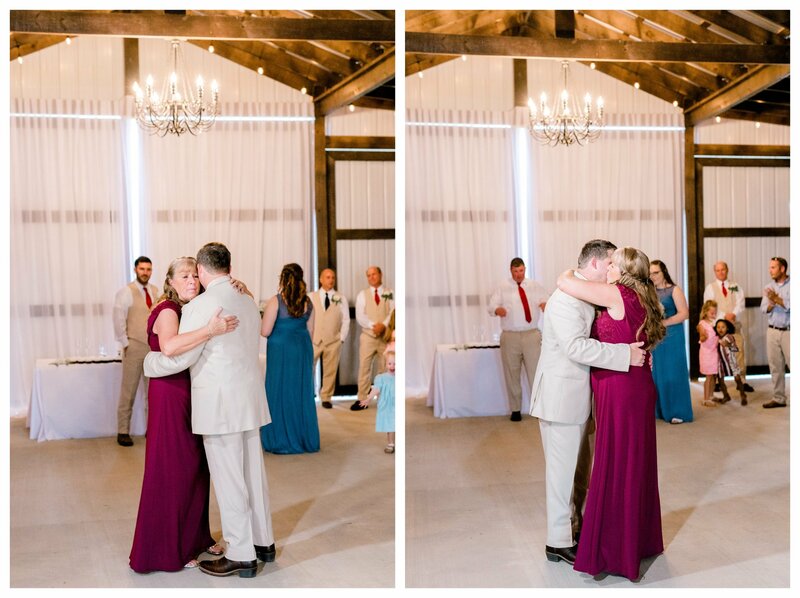 As Courtney’s father handed her over, time stopped for just a second and every guest was completely enamored. 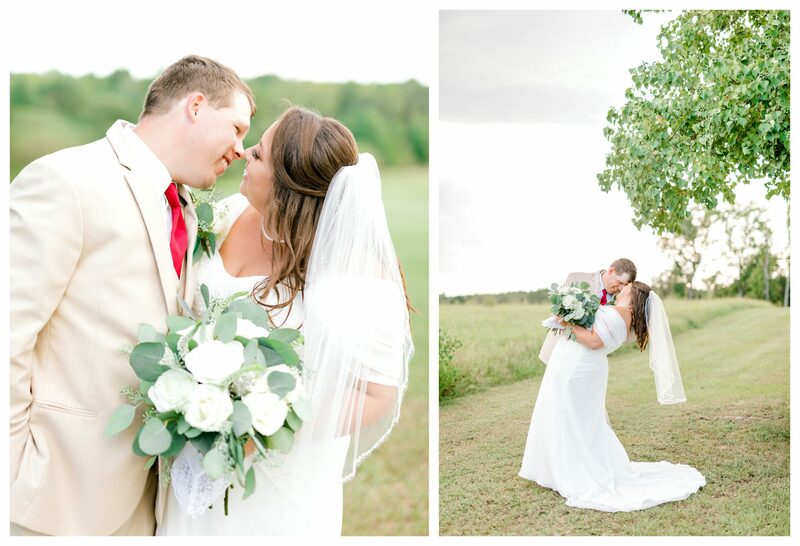 The day was nothing short of perfection and we were so thankful to have been there to capture it. 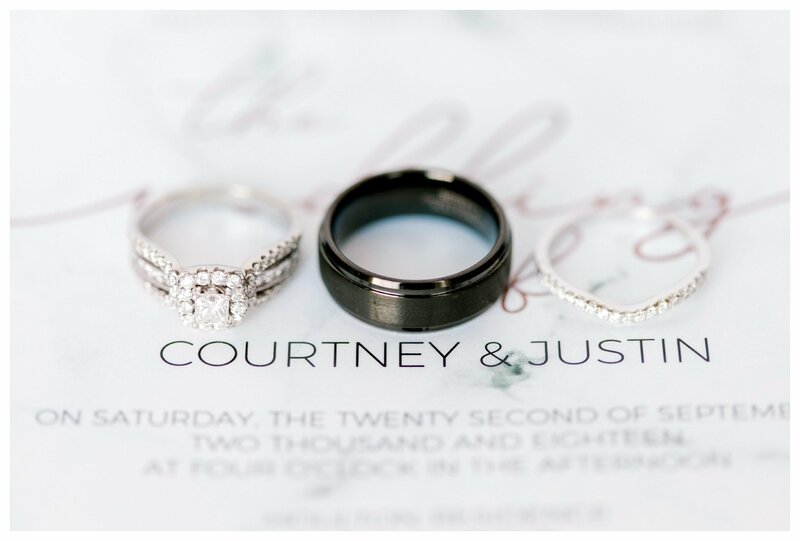 If only we could have joined Courtney and Justin on their cruise to the Bahamas! 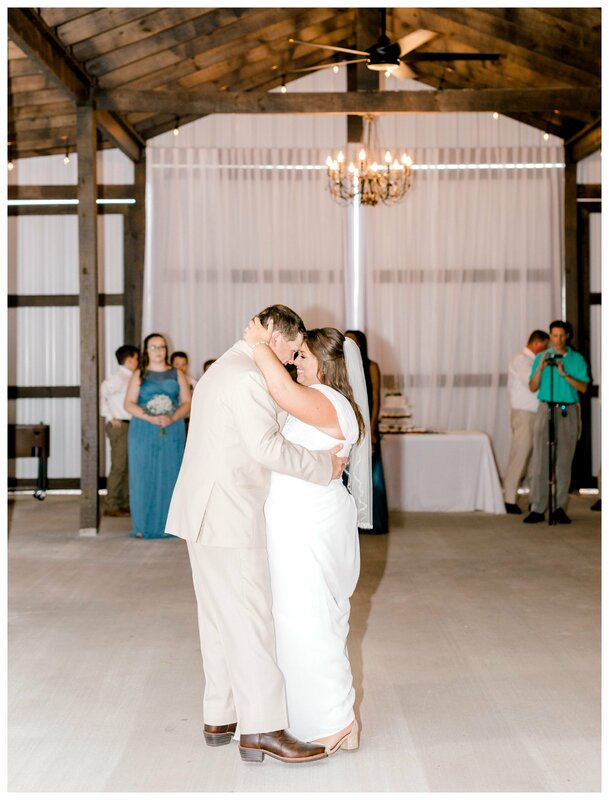 😉 Welcome to married life, guys! 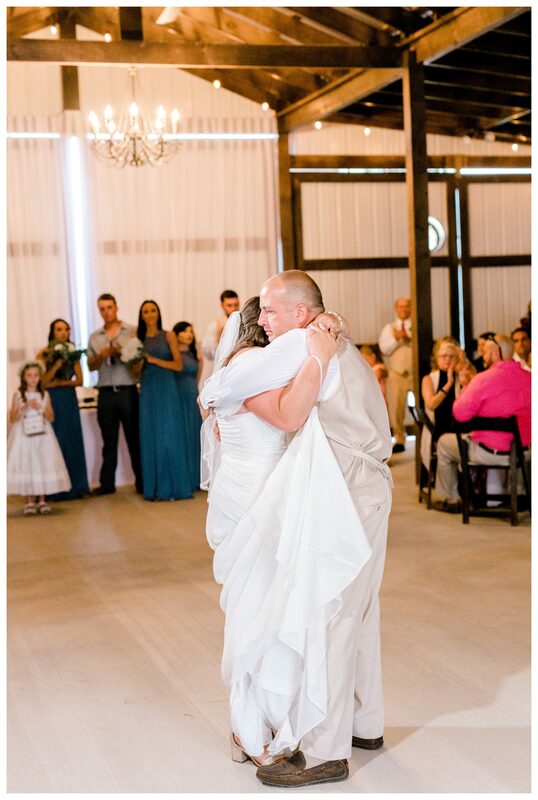 it only gets better and better!